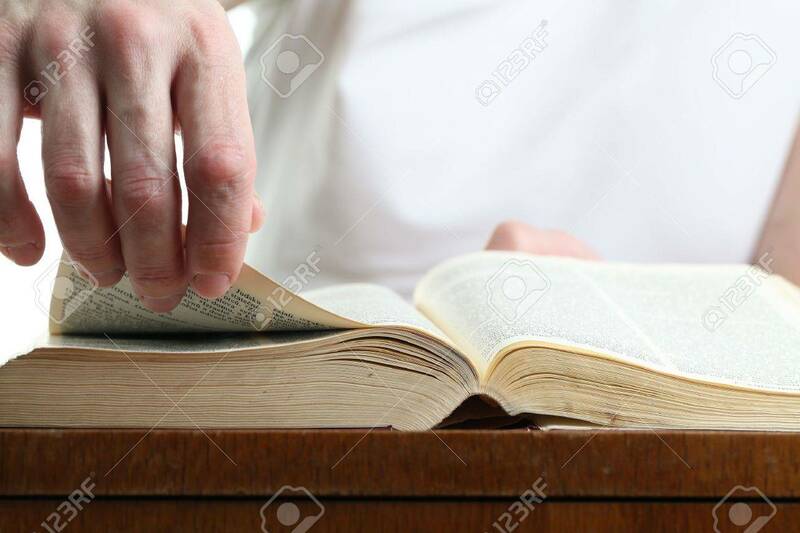 Man Turning The Page Of The Bible. Shallow Dof Stock Photo, Picture And Royalty Free Image. Image 12199968.